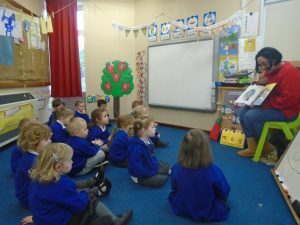 Each week a family member or carer of one of the children are coming in to read their child’s favorite story to the class. It’s a big secret and the children don’t know who it is until the very last second! 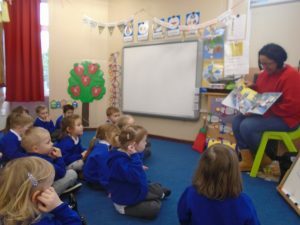 This week we had the story ‘You’re called what?’ By Kes Gray and Nikki Dyson. It was all about real animals with really funny names such as the ice cream cone worm and a monkey face prickle back fish! Thank you so much to our reader this week! Thank you for being our Mystery Reader in Nursery, Lindy. 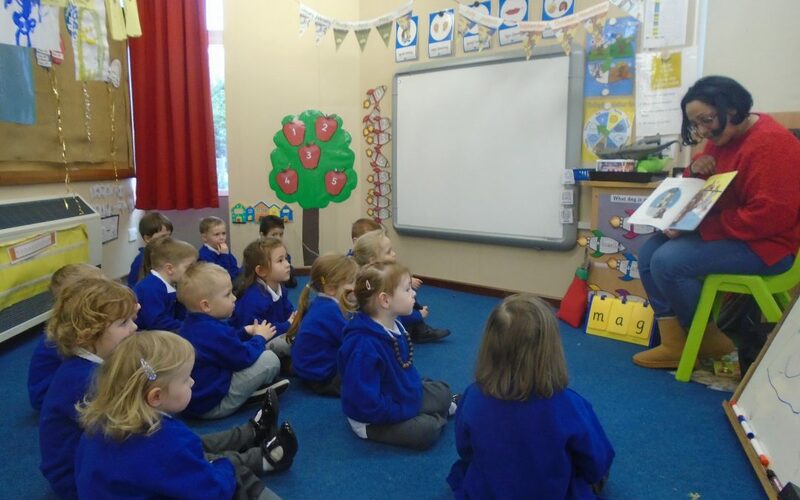 I know the children loved hearing your story!